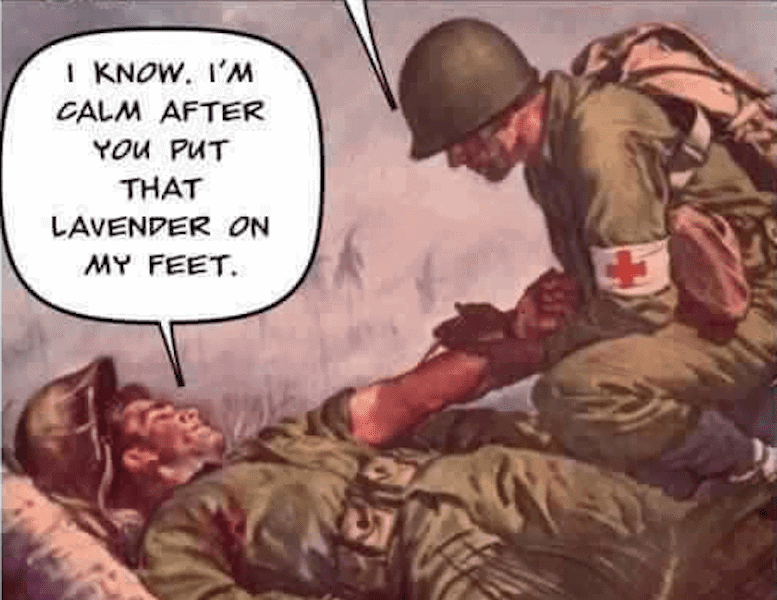 Home » Blog » That meme you saw about Lavender essential oil on the battlefield is true! We noticed this meme circulating recently and had a good chuckle. It speaks to a great point – that grandiose false claims have been going around about the healing properties of essential oils. One unfortunate consequence of all this false advertising is that people begin suspecting that all aromatherapy is “snake-oil” pseudo-science and a joke. 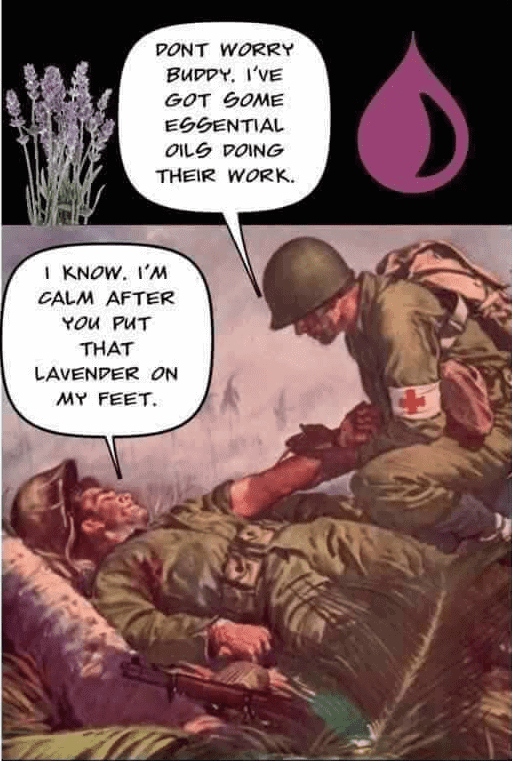 To the contrary: aromatherapy has been practiced effectively in many places around the world for quite some time and, in fact, the idea of medical personnel on the battlefield with Lavender essential oil is not unheard of. During the 1940’s and 1950’s, French military surgeon Jean Valnet carried an apothecary of essential oils with him in his time treating wounded soldiers on the battlefield. When medical supplies ran short, Dr. Valnet found specific essential oils to be effective antiseptics and antibiotics for dressing wounds and reducing and preventing infection. Upon retiring from the military, Dr. Valnet dedicated himself to clinical research on essential oils and phyto-aromatherapy. He founded the first association for the research and study of phyto-aromatherapy and the first college of phyto-aromatherapy and field-based medicine. His 1964 book “The Practice of Aromatherapy“ has since become a canonical textbook in the field. Dr. Valnet made great strides in discovering that some bacterial strains resistant to antibiotics can be treated with aromatic gases. 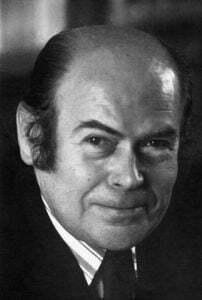 Valnet wrote many reference books, lectures and essays on his research. Together with the French chemist Maurice Gattefosse (1881-1950) and Marguerite Maury (1895-1968), an Austrian-born nurse, Doctor Valnet has become known as one of the founders of modern aromatherapy. Many doctors and researchers in France and Italy followed in their stead, and since the 1970’s, aromatherapy has gained traction in medicine worldwide. As that meme reminds us, it would be irresponsible today to encourage using essential oils to treat serious wounds, though Dr. Valnet was able to do so in emergency cases where antibiotics were not available. On the other hand, we think Dr. Valnet would agree that aromatherapy has great potential for addressing common, everyday challenges to wellbeing when essential oils are used in a safe and appropriate way. Thanks for all you’ve taught us, Dr. Valnet! Essential oils are not appropriate for internal use by the general public, can do damage to the body if used improperly, and should only be used internally if prescribed in a safe manner by an appropriately trained health care professional. Learn more about safe and effective usage of essential oils in Dr. Joie Power’s article here. This infographic and article by Dr. Joie Power shows proper dilution ratios for topical use of essential oils.